WRAPS are only about to come off the new Lexus NX compact SUV, but Lexus Australia already has its hand up. SUVs are a growing market Down Under and the Japanese luxury brand is desperate for a slice of sales, with the large-size RX variant the only SUV its its stable. 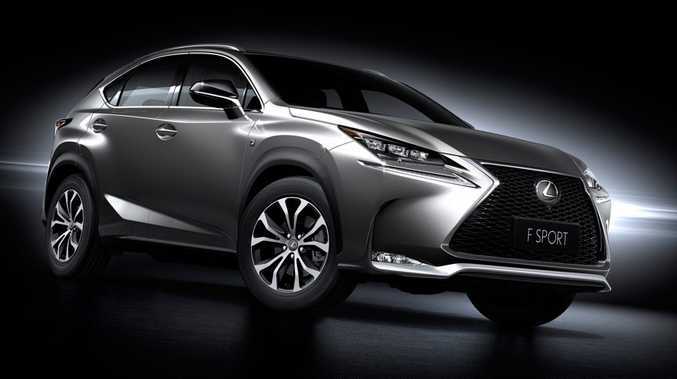 Ahead of its unveiling at the Beijing International Auto Show, Lexus Australia chief executive Sean Hanley said that the NX presents an exciting opportunity for the luxury marque. "Lexus Australia is very eager to secure the NX SUV and we believe it would complement our existing SUV line-up, providing a gateway vehicle to other SUVs and our expansive hybrid vehicle range," Mr Hanley said. "We are now negotiating with Lexus in Japan and expect a decision to be made very soon - it's a very exciting time for us." Available in selected markets globally, the all-new NX offers the choice of up to three drivetrains: a hybrid in NX 300h, an all-new 2.0-litre petrol turbo in NX 200t and a naturally aspirated engine in NX 200 with the choice of front and all-wheel drive.